Accessorise with style with this stainless steel bracelet that features several chains that link together diagonally for a striking and sophisticated style statement. 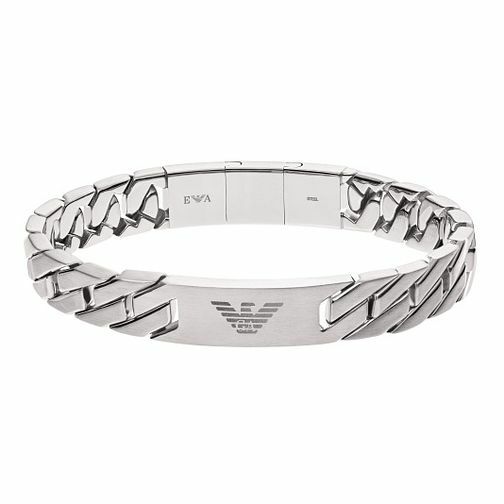 Emporio Armani Men's Stainless Steel Chain Link Bracelet is rated 5.0 out of 5 by 4. Rated 5 out of 5 by Anonymous from Quality Absolutely happy with this product, Had no issues whatsoever. Bought it for my brother as a wedding gift and he loved it and it goes well with his armani watch!